Lifting weights is primarily thought of as a way of increasing muscular size, strength and power, and while this is certainly one of the benefits, there is a whole lot more that occurs within the body during and after a weight-training session. Lifting weights helps to reduce the risk of cardiovascular disease and increases or improves resistance to type 2 diabetes. It also helps in lowering blood pressure, LDL cholesterol, stress and anxiety; while also helping to boost the immune system, preventing certain types of cancers, along with hormonal benefits (testosterone, growth hormone) if performed at sufficient intensity. Resistance training is the best way to increase muscular strength, size and power. If a stimulus such as resistance training is provided, the muscles must adapt to be able to repeat the movement at a later date. Lifting weights is an excellent way to alter body composition. Lifting weight allows one to take advantage of exercise post oxygen consumption, or EPOC, which means that the body burns calories at an extended rate while recovering from the micro trauma caused by weight training. This accelerated calorie burn helps to reduce body fat and increase lean body mass. Many don’t realize it, but weight training also can improve one’s flexibility or range of movement. This is true because the muscles and joints are repeatedly moved through their entire range of motion, much like one would do if performing dynamic stretches. 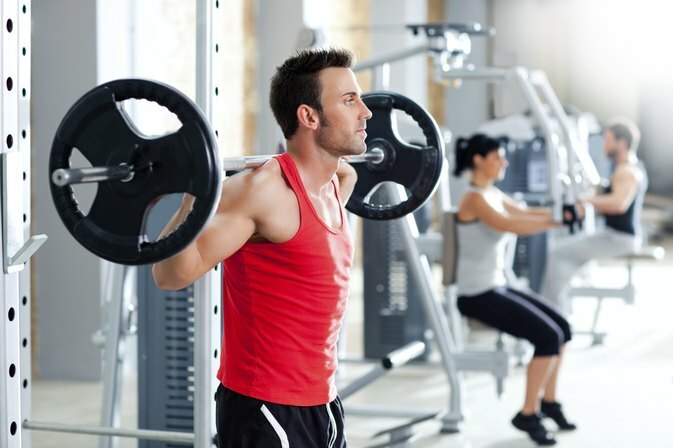 Weight training helps to maintain bone density. The bones respond to weight training similarly to muscles in that they grow stronger and denser, helping to reduce the risk of osteoporosis. Lifting weights help to prevent injuries by making the muscles and bones stronger. This is especially important for those who wish to avoid knee, back or other joint pains. Resistance training can improve posture and balance. With a properly designed program, one can improve posture and balance by strengthening the muscles required for good posture and balance. Lifting weights improves strength, body composition, flexibility, bone density, helps to prevent injury, and improves posture and balance, which can in turn lead to improved self-confidence. Is a Month Too Long to Rest From Lifting Weights? How Many Reps Should I Do for a Lean Chest? What Are the Benefits of Lifting Light Weights? Does Lifting Heavy Weights Hurt Your Heart?